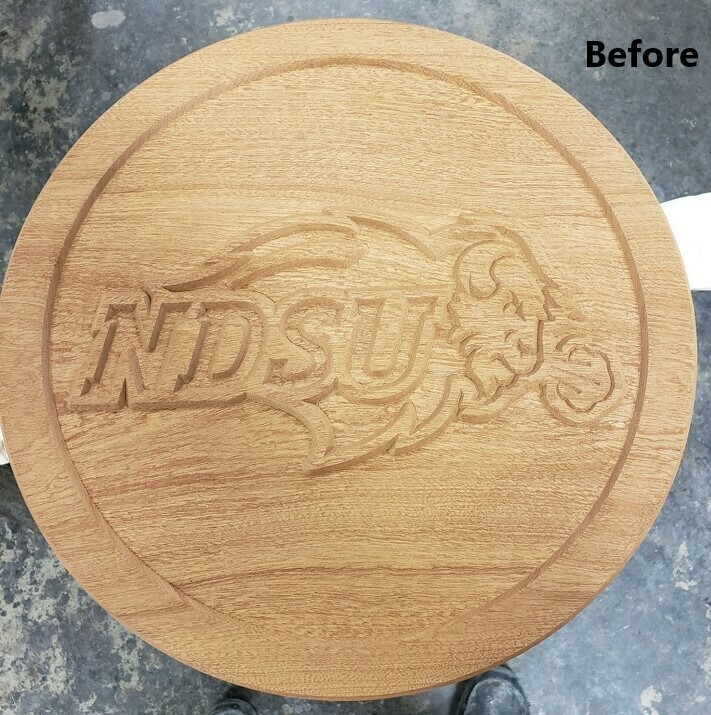 Precision Wood Finish applied sealer and two coats lacquer to this beautiful NDSU Wall Art. 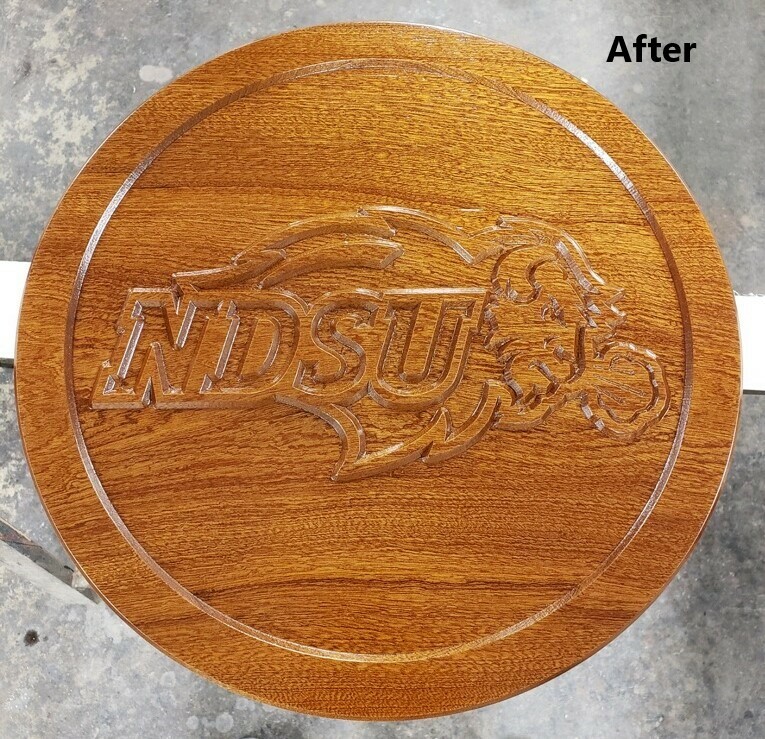 If you are looking for a professional Lacquered Wall Art wood sealing service in Bismarck, ND, please call 701-751-2848 or complete our online request form. My kitchen cabinets look great! You did a fantastic job! Don & Cindy run a very professional operation. 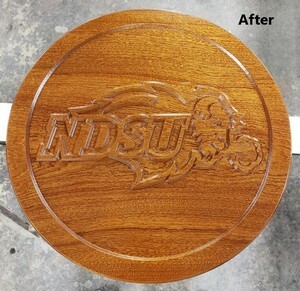 We’ve always been happy with the painting & staining they’ve done for us & highly recommend their services. The door turned out so beautiful, it changed the appearance of our home! And your staff took care to wrap the door to protect it & assisted me in padding for the “ride home”. It arrived without a blemish. Thank you!" I don’t see any improvements that you can make as far as our business goes. Thank you for a very nice job. A very good business environment is created by doing business with people who turn in results and not simply excuses. 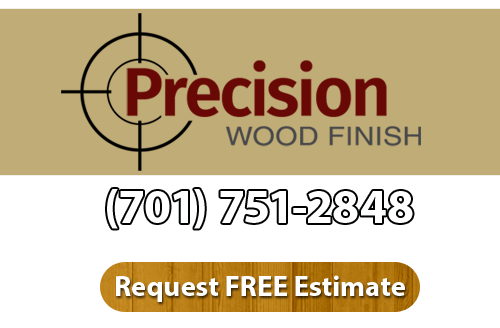 That is why the painters have been doing all of our painting and wood finishing for the past several years. You did an awesome job on the doors. They look so nice! 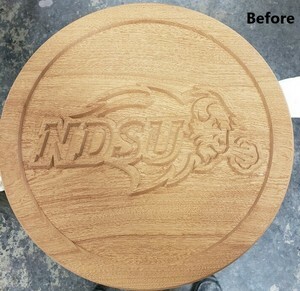 We are very happy..
We have worked very closely with Precision Wood Finish on many projects. 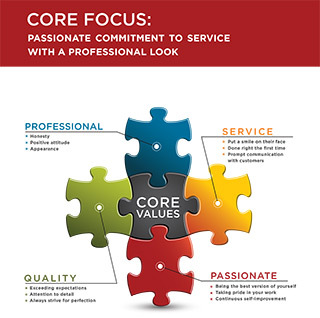 Not only do they offer great service and a great product, they are continually striving to improve both. We appreciate the friendly and professional service we received. Our “new” old door looks great! I was very happy with the job and the look of my cabinets. Thank you!